The articles published in Journal of Bacteriology & Parasitology have been cited 473 times by eminent researchers all around the world. Following is the list of articles that have cited the articles published in Journal of Bacteriology & Parasitology. Stumpf L, Pauletto EA, pinelli Pinto LF, rito Pinto MA, Junior LA, et al. (2016) Sistema radicular da urochloa brizantha: desenvolvimento e influência nos atributos de um solo degradado/the root system of urochloa brizantha: development and influence on the attributes of a degraded soil/sistema radicular de la urochloa brizantha: desarrollo e influencia en los atributos de un suelo degradado. Interciencia 41:334. Stumpf L, Pauletto EA, Pinto LF, Fernandes FF, da Silva TS, et al. (2017) Gramíneas perenes e sua relação com a recuperação de atributos físicos de um solo degradado construído. Interciencia 42:101. Stumpf L, Pauletto EA, Pinto LF, Garcia GF, Ambus JV, et al. (2016) Condição física e desenvolvimento radicular de gramíneas em solo construído após mineração de carvão. Pesquisa Agropecuária Brasileira 51:1078-87. Stumpf L, Pauletto EA, Pinto LF, Garcia GF, Ambus JV, et al. (2016) Physical condition and root development of grasses in a constructed minesoil after coal mining. Pesquisa Agropecuária Brasileira 51:1078-87. Tapadar SA, Jha DK (2016) Seasonal and Temporal Dynamics of Physicochemical and Biological Properties of Chronosequence Coal Mine Spoil Soils. CLEAN–Soil, Air, Water 44:1405-13. Stumpf L, Pauletto EA, Pinto LF (2016) Soil aggregation and root growth of perennial grasses in a constructed clay minesoil. Soil and Tillage Research 161:71-8. Upadhyay N, Verma S, Pratap Singh A, Devi S, Vishwakarma K, et al. (2016) Soil ecophysiological and microbiological indices of soil health: a study of coal mining site in Sonbhadra, Uttar Pradesh. Journal of soil science and plant nutrition 16:778-800. Maharana JK, Patel AK (2014) Microbial community PLFA responses to ecosystem restoration in a chronosequence coal mine overburden spoil and implications of soil quality. International Journal of Current Microbiology and Applied Sciences 3:45-71. Muktamar Z, Hasibuan SY, Suryati D, Setyowati N (2015) Column Study of Nitrate Downward Movement and Selected Soil Chemical Properties’ Changes in Mine Spoiled Soil as Influenced by Liquid Organic Fertilizer. Journal of Agricultural Technology 11:2017-27. Bajiro M, Dana D, Ayana M, Emana D, Mekonnen Z, et al. (2016) Prevalence of Schistosoma mansoni infection and the therapeutic efficacy of praziquantel among school children in Manna District, Jimma Zone, southwest Ethiopia. Parasites & vectors 9:560. Mtethiwa AH, Bakuza J, Nkwengulila G (2015) Prevalence and Intensity of Schistosomiasis in Communities around Water Reservoirs in Malawi. Journal of Tropical Diseases & Public Health . Anchang-Kimbi JK, Elad DM, Sotoing GT, Achidi EA (2017) Coinfection with Schistosoma haematobium and Plasmodium falciparum and Anaemia Severity among Pregnant Women in Munyenge, Mount Cameroon Area: A Cross-Sectional Study. Journal of Parasitology Research 2017. Alwabr G (2016) Prevalence and associated factors of schistosomiasis among primary schoolchildren in al–mahweet governorate, yemen. Banat's Journal of Biotechnology 7. Anto F, Asoala V, Adjuik M, Anyorigiya T, Oduro A, et al. (2014) Childhood activities and schistosomiasis infection in the Kassena-Nankana district of Northern Ghana. Journal of Infectious Diseases and Therapy . Adenowo AF, Oyinloye BE, Ogunyinka BI, Kappo AP (2015) Impact of human schistosomiasis in sub-Saharan Africa. Brazilian Journal of Infectious Diseases 19:196-205. Al-Rubaie AR, Mhaisen FT, Al-Tae AR (2015) Survey of Some Gastrointestinal Cestodes and Nematodes from Stray Cats at Baghdad City, Iraq. American Journal of Biology and Life Sciences 3:246-53. Hajipour N, Baran AI, Yakhchali M, Khojasteh SM, Hesari FS, et al. (2016) A survey study on gastrointestinal parasites of stray cats in Azarshahr,(East Azerbaijan province, Iran). 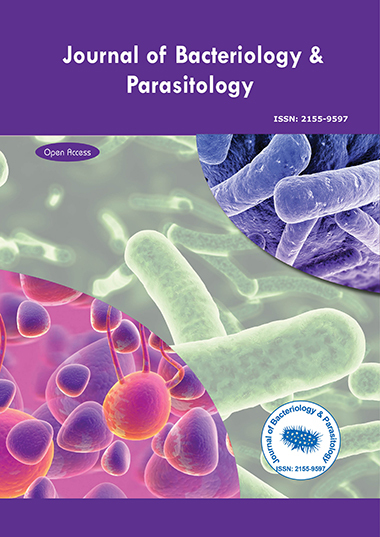 Journal of Parasitic Diseases 40:1255-60. Akinola RO, Mazandu GK, Mulder NJ (2016) A Quantitative Approach to Analyzing Genome Reductive Evolution Using Protein–Protein Interaction Networks: A Case Study of Mycobacterium leprae. Frontiers in genetics 7.